A sebaceous cyst is a closed sac under the skin filled with a cheese-like or oily material. 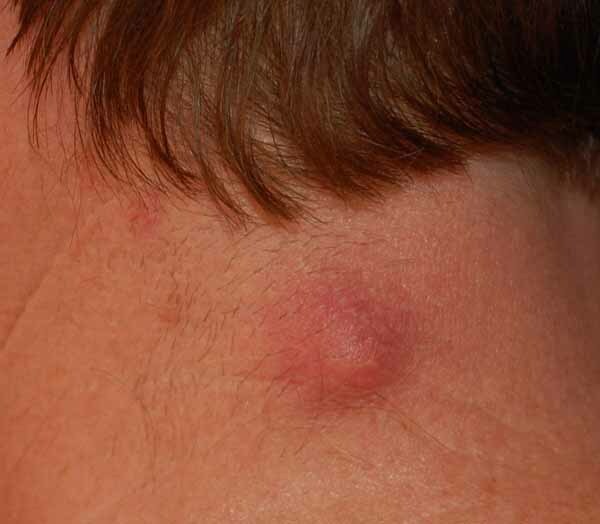 Sebaceous cysts most often arise from swollen hair follicles. Skin trauma can also cause a cyst to form. A sac of cells is created into which a protein called keratin is secreted. An anesthetic cream is applied to the lesions and kept for 45 minutes. A small incision is made over the cyst and the cheesy material is drained out and the sac is removed completely. Usually sutures are not required. The wound will heal within few days. Results are excellent and there were no recurrences.